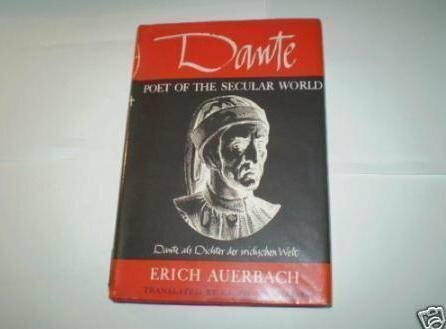 Erich Auerbach’s Dante: Poet of the Secular World is an inspiring introduction to one of world’s greatest poets as well as a brilliantly argued and still provocative essay in the history of ideas. Here Auerbach, thought by many to be the greatest of twentieth-century scholar-critics, makes the seemingly paradoxical claim that it is in the poetry of Dante, supreme among religious poets, and above all in the stanzas of his Divine Comedy, that the secular world of the modern novel first took imaginative form. 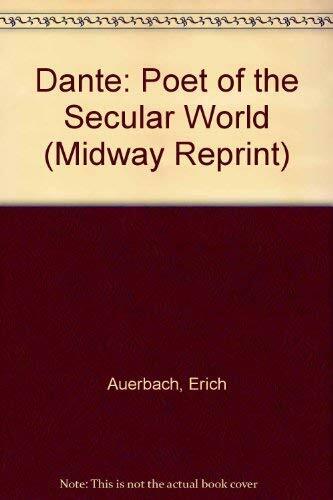 Auerbach’s study of Dante, a precursor and necessary complement to Mimesis, his magisterial overview of realism in Western literature, illuminates both the overall structure and the individual detail of Dante’s work, showing it to be an extraordinary synthesis of the sensuous and the conceptual, the particular and the universal, that redefined notions of human character and fate and opened the way into modernity. III. The Subject of the "Comedy"
IV. The Structure of the "Comedy"
A precursor and companion to Erich Auerbach’s majestic Mimesis, Dante: Poet of the Secular World is both a comprehensive introduction to the work of one of the greatest poets and a brilliantly provocative and stimulating essay in the history of ideas. 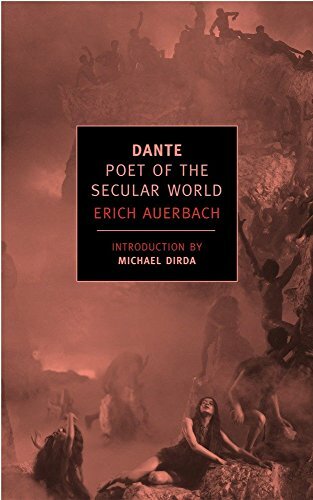 Here Auerbach, acclaimed by writers and scholars as various as Terry Eagleton, Guy Davenport, and Alfred Kazin as one of the greatest critics of the twentieth century, argues paradoxically but powerfully that it is to Dante, supreme among Christian poets, that we owe the concept of the secular world. Dante’s poetry, Auerbach shows, offers an extraordinary synthesis of the sensuous and the conceptual, and individual and the universal, that redefined notions of human character and fate and opened the way into modernity. Erich Auerbach (1892—1957) was born in Berlin, educated at the Universities of Heidelberg and Greifswald, and served in the German army during World War I. A professor at the University of Marburg, Auerbach fled Hitler’s Germany for Istanbul in 1933 and in 1947 moved to the United States, where he taught at Pennsylvania State and Yale. Michael Dirda is the winner of the 1993 Pulitzer Prize for criticism. He has been an editor and writer for The Washington Post Book World for the past twenty years. He lives in Silver Spring, Maryland. Ralph Manheim (1907—1992) translated GŸnter Grass, Louis-Ferdinand C?line, Hermann Hesse, and Martin Heidegger, along with many other German and French authors. The PEN/Ralph Manheim Medal for Translation is a major lifetime achievement award named in his honor.